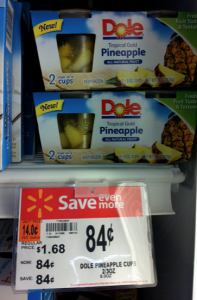 Dole Frozen Fruit Cups only $0.09 w/ Coupon! I hope your Walmart has this product on Rollback too! If they're not on sale at your store, they'll be $0.93 after coupon...still a great price!